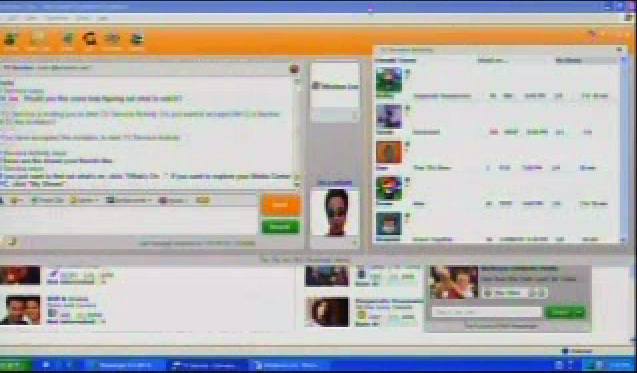 Microsoft unveiled some new Windows Live Messenger features during Bill Gates’ keynote tonight at CES. My favorite new feature is Messenger activities prompted by a chat bot. Microsoft showed off a chat bot that allowed a user to ask questions about TV programming. One possible response from the bot is a link to a list of shows playing that night, The link opens up directly inside the chat window in an activities pane, allowing the user to browse the content and ask the bot a few more questions. The bot is learning about the individual user and his or her preferences during the entire process. After a few searches are executed from the chat interface and displayed in the activity pane, the user finally wants to take action. In this example the user can add a TV show to their PVR with one click. The interface is conversational, familiar to casual users, and provides immediate results in separated content areas. I can image a shopping chat bot presenting a user with shoe or handbag selections through this interface or a user viewing the latest search results from Technorati in an activity pane. Very cool stuff. Philips and Uniden are building new cordless phone handsets with Windows Live Messenger capabilities built-in. Users can browse a list of contacts, view their availability, and place a call over their Internet connection. The phones use Windows Live Call services powered by MCI on the backend. Each handset has a bright color screen to view a friend’s contact card quickly and easily. It’s the first time I have seen instant messaging built-in to a household phone and may become more common as online identities become merged over multiple points of contact.